Over the last few months I helped secure funding in the California Budget for Tunitas Creek Beach, suicide prevention training, and election security. I have also continued my efforts to review and update the California Master Plan for Higher Education, raise awareness about the 2020 Census, and honor several members of our community for their service in 24th Assembly District. I hope you enjoy the updates below! 2020 Census: You Can Help Before 8/7 to Ensure an Accurate Count! California is a big, bold, beautiful, diverse, complicated state. We have residents who speak dozens of different languages and come from hundreds of countries, and all in all, make up roughly 40 million unique stories. The census count should be about counting all of those stories and counting all of those people. As Chair of the Assembly Select Committee on the Census, I’ve spent the last few months meeting with census experts and advocates to identify steps the state can take to ensure every California resident is counted, including convening a joint hearing of the Senate Select Committee on the 2020 United States Census and the Assembly Select Committee on the Census to discuss the challenges, and addressing a special event held by the Public Policy Institute of California on April 24th, where I called upon the hundreds of non-profit and foundation leaders in attendance to identify trusted messengers in their communities to communicate why the census is so important. The results of the upcoming 2020 Census are critically important to the economic and political strength of California. If our residents don’t participate, California will lose one or two Congressional seats as well as billions of dollars a year in federal funds that our communities have every right to. So it is really important that all Californians fill out the census form! California has historically been difficult to count due to its size and diversity, but the task in front of us is more difficult than it has ever been. 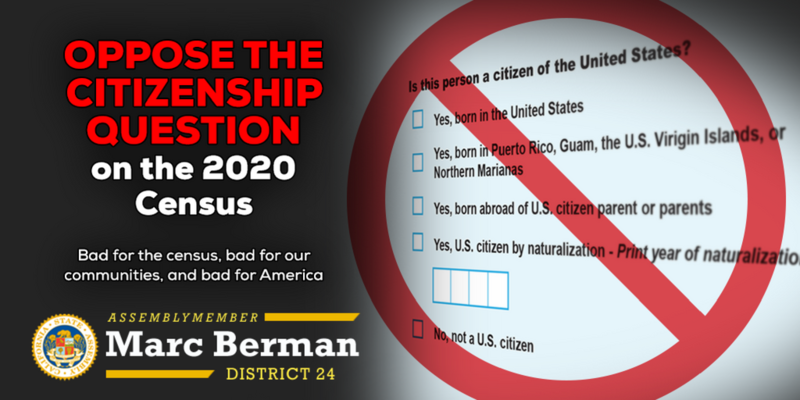 The Census, which is conducted by the federal government, is being politicized to try to intimidate certain communities with a mandatory “citizenship” question. We can’t let that happen. Attorney General Becerra is fighting right now in federal court to stop this question from being asked, and we all need to do everything we can as well. Join me in leaving a comment for the US Census Bureau opposing the citizenship question. The deadline to submit a comment is August 7, so act today! On June 15th, the Governor signed an on-time, fiscally-prudent budget that reflects California’s values. I’m really excited to share that several of the projects I spearheaded this year received funding in the budget. I advocated for and successfully secured $1.7 million to provide youth suicide prevention training for all school staff and students for free. It is imperative that administrators, teachers, and students have the knowledge, tools, and resources to recognize the warning signs and respond to students who need help. Too many of our communities across California, including in the 24th Assembly District, have been affected by youth suicides. This funding is a critical step in preventing these tragedies. Assemblymember Kevin Mullin, Senator Jerry Hill, and I worked together to secure a $5 million appropriation in the budget to provide safe, responsible, and managed public access to Tunitas Creek Beach. This funding is needed to ensure emergency access for first responders to assist beachgoers, construct public restrooms and other facilities, and initiate environmental restoration activities. As part of our ongoing effort to restore public access at Martins Beach in San Mateo County, Assemblymember Kevin Mullin, Senator Jerry Hill and I were successful in our ask that $1 million be transferred into a new Martins Beach subaccount to be used to provide public access to this historic beach. Building off my AB 3075, which would establish the Office of Election Cybersecurity within the Secretary of State’s office, the budget includes $2 million to be allocated annually to support the functions of this office. The Office of Election Cybersecurity will be responsible for sharing information about election cybersecurity threats between federal, state, and local agencies, developing best practices for protecting against cyber threats, identifying resources available to state and county elections officials, and advising the Secretary of State on election cybersecurity issues. Every 10 years, the United States Census Bureau conducts a survey of every resident living in the country. California is the largest and the hardest-to-count state in the nation, and there are clear indications that it will be particularly difficult to get a complete and accurate count of all residents in 2020. I was proud to join with numerous community-based organizations to advocate for more Census funding than has ever been provided by the state. The $90.3 million included in the budget is badly needed to ensure that every Californian is counted. There is no one time expenditure that is going to have a higher return on investment than funding census efforts. In 1960, California developed a visionary plan for the future of higher education. Known as the Master Plan, the document sought to provide guidance to the state’s higher education system. However much has changed since the Master Plan was written, and California’s higher education systems must respond to a host of issues never previously envisioned. As a result, I advocated for the creation of the Assembly Select Committee on the Master Plan for Higher Education, which I have the privilege of chairing. On May 4th, I convened the Select Committee for a hearing on the topic of Meeting the Needs of Faculty and Staff to Support Students. We heard from faculty, student services staff, and support staff on a variety of issues, including professional development and academic initiatives, the needs of California faculty and lecturers, and the needs of student services and support staff who demonstrate that it takes a whole ecosystem at a college or university to make sure that students reach their full potential. As part of our ongoing effort to review the Master Plan, it’s important to identify the needs of faculty and staff so that they can better support students. The primary challenges raised at the hearing included funding, understaffing, reliance on temporary faculty, as well as the need for more coordination among the state’s higher education segments, including clear pathways for transfer students. The panelists also discussed the need for greater faculty diversity so that our students are taught by faculty that they can relate to. When the Legislature reconvenes on August 6th, we will have four weeks to hear and vote on hundreds bills, including 20 that I authored. 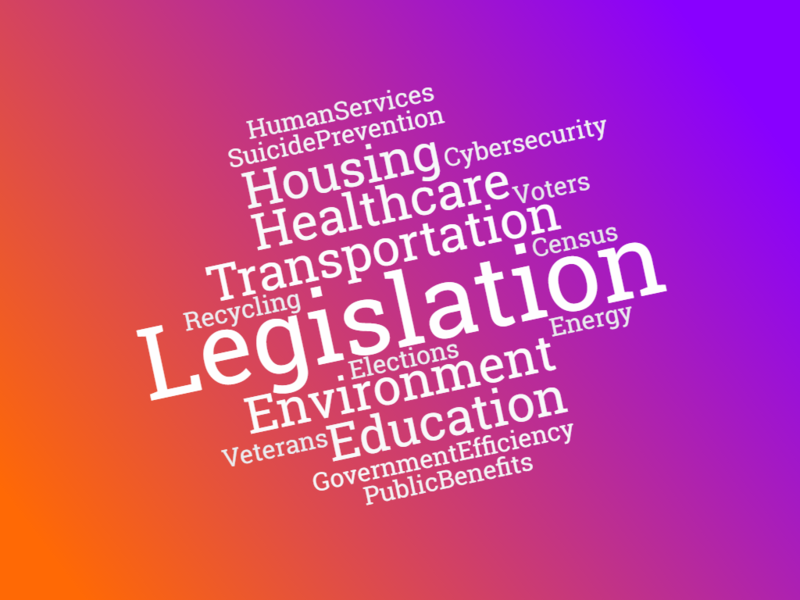 As Chair of the Assembly Elections Committee, I’m authoring a number of bills to improve the voting experience, combat misinformation about how, when, and where you can vote, and to secure our election infrastructure and voters’ personal information. I’m also authoring legislation to address youth suicide prevention, including requiring schools to review their suicide prevention policies every five years and to update them as needed. Continuing on last year’s work to ensure sexual assault survivors’ are notified of their rights, I’m authoring legislation to provide victims of sexual assault with more time to recover civil damages related to the assault. I also have a number of other bills to promote strategic housing development, increase access to school nutrition programs, preserve healthcare for evacuees during a state of emergency, and strengthen California’s recycling programs. 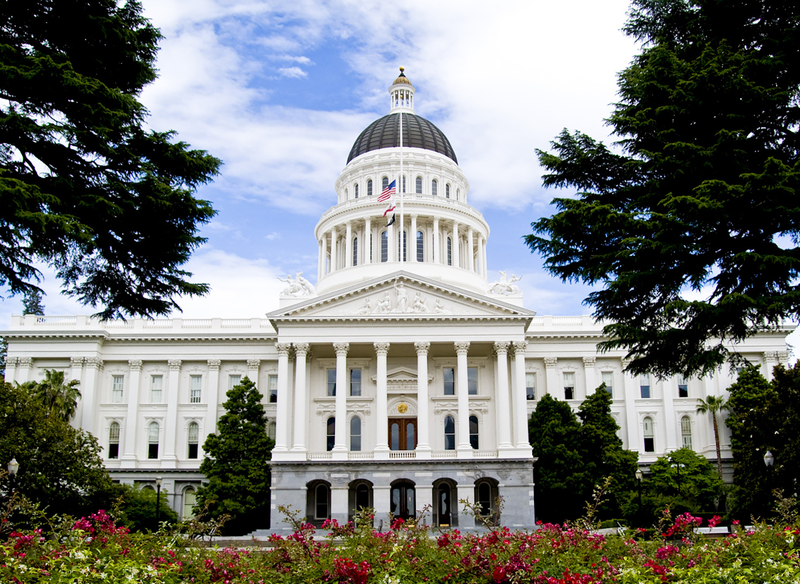 Governor Brown will have until September 30th to act on all bills passed by the Legislature. Every year, the Legislature recognizes the vital role that nonprofit organizations play in the communities they serve, improving the quality of life of those in need and promoting social change. I was proud to recognize the Community Services Agency as Nonprofit of the Year for their work in Mountain View, Los Altos, and Los Altos Hills. For over 60 years, CSA has enhanced individual & community wellbeing by connecting homeless, low-income and senior community members with emergency housing and wraparound services such as food and mental health care. Read more from the Los Altos Town Crier. Small businesses are the backbone of our local economies. They create jobs locally and reinvest in our communities. This year, I was honored to present Dee Harley of Harley Farms Goat Dairy with the Small Business of the Year award. In 1982, Dee acquired 6 pet goats for her family farm in Pescadero. Since then the herd has grown to 200 goats, whose milk is crafted into award-winning cheese sold in the farm shop. Each spring visitors flock to Harley Farms to hold the kids (baby goats) that are born on the farmstead. The brave men and women who serve in the military deserve our sincerest gratitude and thanks for all they have sacrificed to defend our nation’s freedoms. It was my honor to recognize Ron Labetich as the 24th Assembly District’s Veteran of the Year at the Assembly’s annual Veterans Recognition Luncheon. Ron served in the United States Coast Guard and is currently the chair of the Los Altos Rotary Club's Veterans Support Committee. The Committee has raised approximately $600,000 to provide college scholarships for student veterans, legal assistance, and other resources to help veterans transition home after their service to our country. On July 25th, the Committee will dedicate a new Rotary Veterans Plaza at Foothill College in honor of Captain Matt Manoukian, who was killed Afghanistan in 2012. Each year, the California Legislature honors the 6 million Jews and countless other victims, survivors, and liberators of the Holocaust. 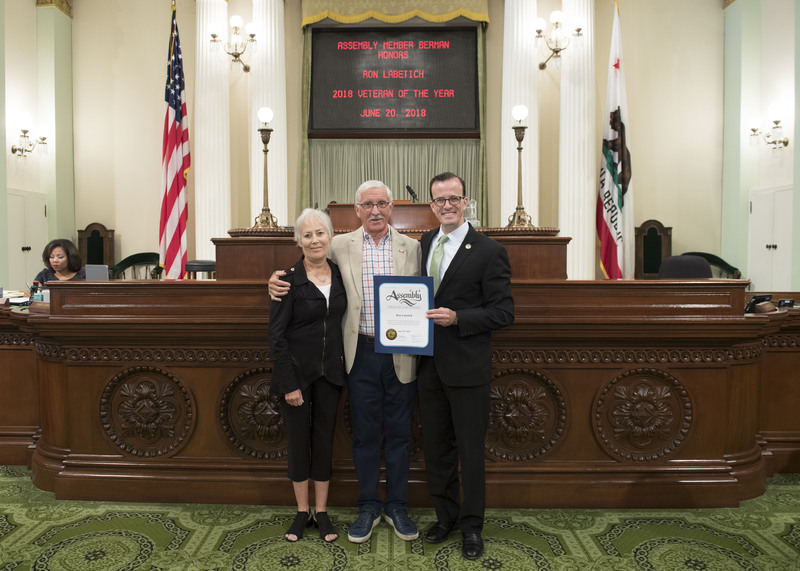 It was a privilege to honor Judith Rabbie at the Assembly’s 13th Annual Holocaust Remembrance Ceremony. Her survival during the Holocaust and her long and full life are a testament to her strength and spirit. At a time of rising intolerance and hatred across the world, it’s more important than ever that we remind ourselves of the atrocities of the past. Read more from the Palo Alto Weekly. On April 6th, I hosted a Senior Scam Stopper Seminar at the Sunnyvale Recreation Center, which attracted nearly 200 seniors interested in learning how to protect themselves from fraud. Representatives from the Contractors State License Board and the Santa Clara County District Attorney’s Consumer Protection Unit discussed a few scams that specifically target seniors and offered strategies to help people of all ages avoid being taken advantage of. I was pleased to see so many people in attendance, and I look forward to holding many more of these events throughout the 24th Assembly District in the coming years. 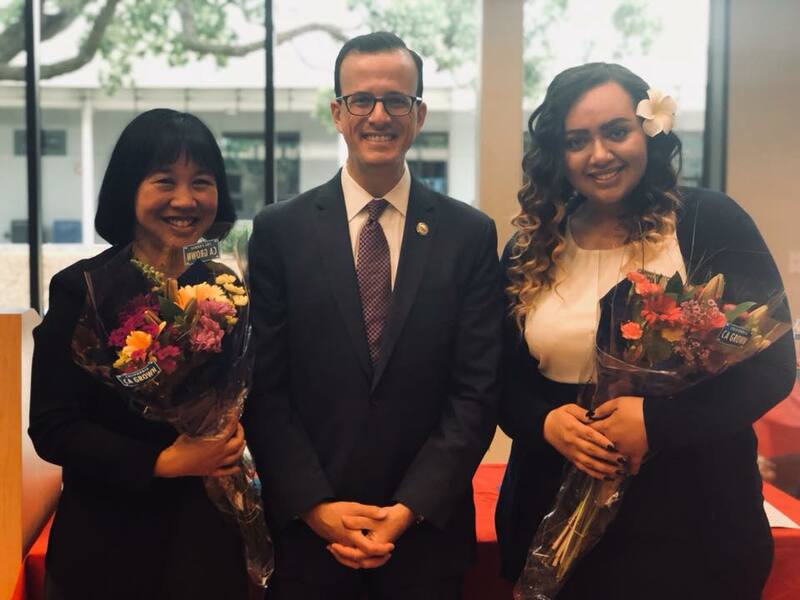 On May 18th, I hosted a coffee and breakfast reception in Palo Alto in recognition of Asian Pacific-Islander Heritage Month and to celebrate the contributions of Asian and Pacific Islanders in the 24th Assembly District. The celebration included honoring Michelle Lew, CEO of The Health Trust, and the nonprofit HealthRIGHT 360 for their Asian American Recovery Services program in East Palo Alto.